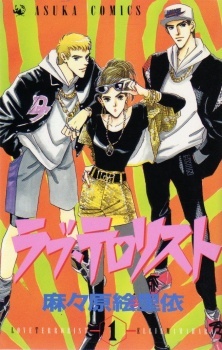 The story is about a love triangle between Yuri-chan, Kengo Fujii and Takamisawa-sensei. But contrary to usual shoujo love triangles where two boys fall in love with the same girl, the girl and a boy fall for... the other boy, in this case, Kengo Fujii. Find the adventures the three of them go through and about the hatred between Yuri-chan and her homeroom teacher: Takamisawa...but as we all know, there is a fine line between love and hate.